Sporting Events in or near Green Point, Atlantic Seaboard in Cape Town, South Africa. 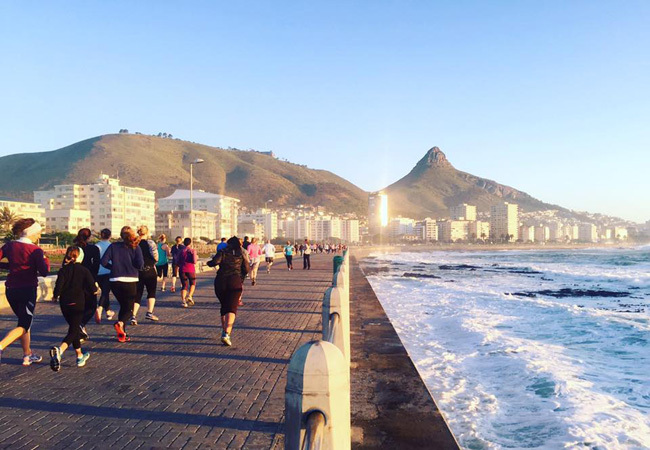 First held in 1993, the Gun Run is a popular half-marathon that winds its way through the heart of Cape Town, starting and finishing in Mouille Point. The route passes the V&A Waterfront, travelling through the city's central business district and along Sea Point promenade before returning to Green Point and finishing in Mouille Point. In addition to the 21.1km half marathon, there are also the more leisurely 10km and 5km races, which follow a similar scenic route but are less demanding. There’s a 21km half marathon, a 10km run / walk and a 5km run / walk. All three events start in Beach Road and finish at Hamiltons Rugby Club in Green Point. Pick up an entry form from any Sportsmans Warehouse. Entries close prior to race day but you can still enter the 5km run / walk at registration or on race day.